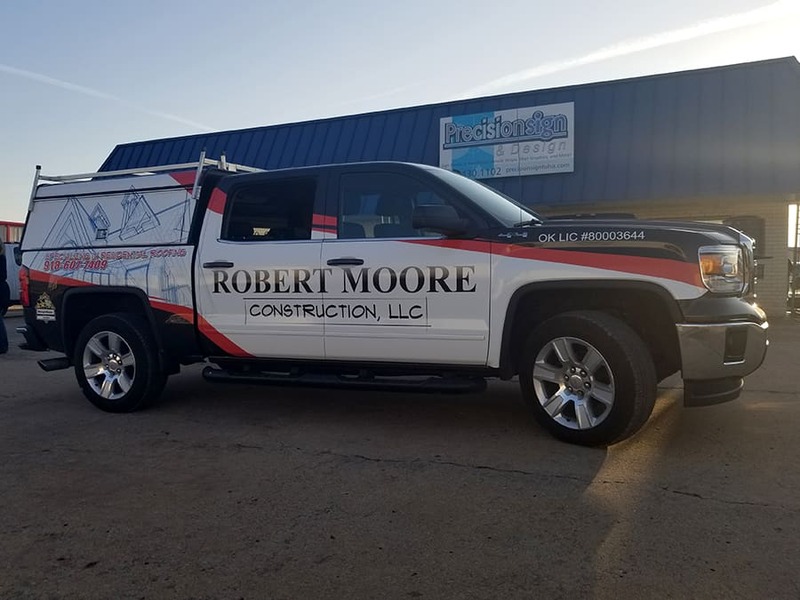 This partial wrap for Robert Moore Construction takes an ordinary pickup and turns into a moving billboard. Not only does this advertise their business to people on the roads but to the neighbors of their customers. 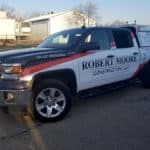 We’ve heard time and time again from our vehicle wrap clients how they get increased business as a direct result from consumers seeing their vehicle wraps. That’s why you see more and more companies wrapping their vehicles – they work! 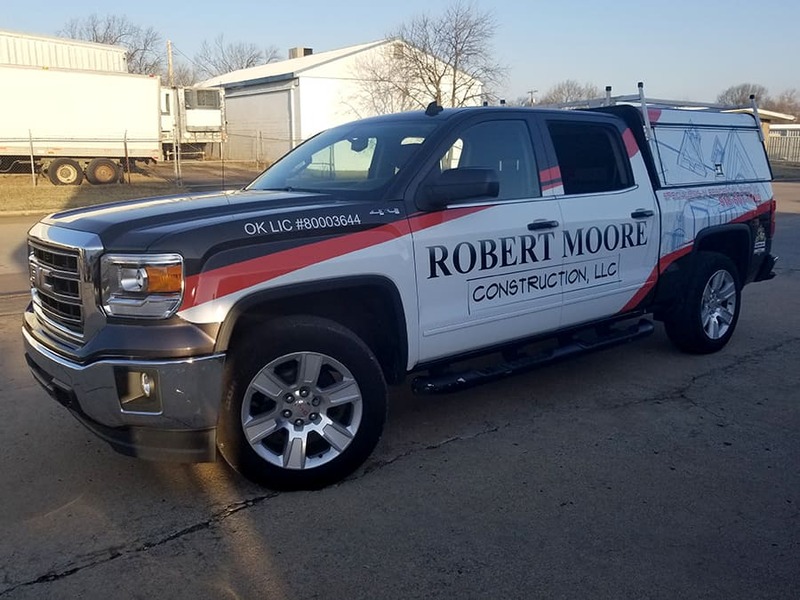 Give Precision Sign & Design a call today at 918-430-1102 to find out more about wrapping your company’s sales, service, and delivery vehicles. 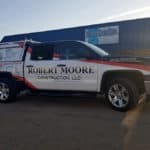 This entry was posted in Vehicle Wraps on May 3, 2018 by Steve Ballard.